It is inevitable that the significance of recognizing the power of suggestion, as one of those unseen but essential factors (if not the primary essential factor) which, so-to-say, lies at the heart of thought power and its working, will impress itself upon the inquirer who seeks to understand the mind and its working. In similar manner as the postulation that Thought itself is a perpetual activity, a similar position could be established concerning the power of suggestion. One simple definition of "suggestion" is: the mention or introduction of an idea, proposition, plan, etc., for consideration or possible action. one will begin to apprehend and appreciate that the power of suggestion is literally a "two-edged sword", i.e., it will either work to the advancement of the individual life, or to its detriment, according to the way the individual conducts themselves. As the term implies, auto-suggestion is the process of suggestion where the person consciously attempts to supply the means of influencing their own behavior or beliefs. 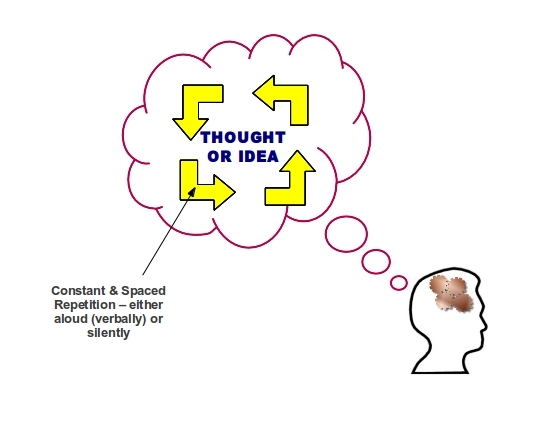 As the illustration depicts, this is accomplished by the person engaging in constant and spaced repetition of some thought or idea, which is desired to be impressed upon the subconscious mind. In almost all cases, the process starts via deliberate action on the part of the person, and is maintained until the thought or idea becomes implanted, at which point, the repetition takes place automatically. Conversely, hereto-suggestion is that same process, where the particular thought or idea is supplied and impressed by another person, and not the individual themself. 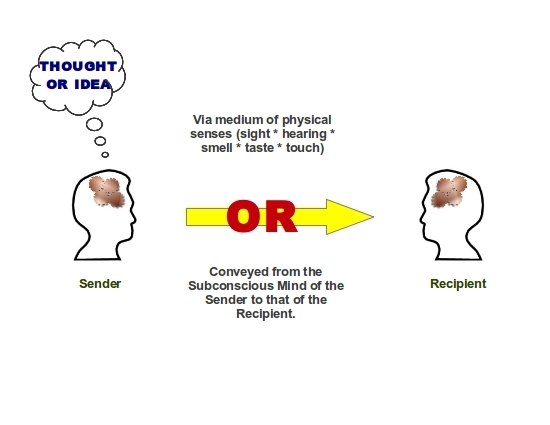 The impression of the thought or idea by one person (represented in the illustration as the Sender) upon another (represented as the Recipient) may be done either via the medium of the physical senses, or even via the phenomenon of telepathy, which, in philosophical terms, may be defined as the impress of a thought or idea in one mind, upon the subconscious mind of another person. It should also be noted that heterosuggestion may occur, whether the recipient is aware or unaware of any action on the part of the sender. The mechanics by which suggestion works may be summed up in two words: (1) REPETITION, and (2) BELIEF. 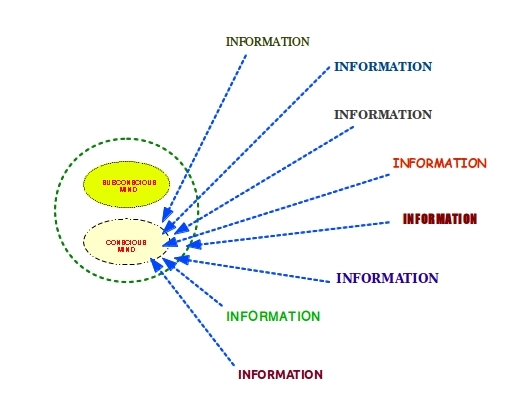 In more simpler terms, psychology, psychiatry and similar subjects have each in their own way deduced that if a particular thought or idea is repeatedly presented to the individual mind over a period of time, then (with few exceptions), the thought or idea becomes established in the individual (subconscious) mind, i.e., it becomes a Belief for that individual. The few exceptions to this generalized rule are persons who have developed their Mental Faculties - particularly the faculties of Reason and Will - so that they can consciously and deliberately choose to either accept or reject any thought or idea presented to them. In addition, it should not be inferred that the repetition process (whether via auto-suggestion, or heterosuggestion) consists of "vain repetitions" - rather, as one 20th Century authority expressed it, the person should "know what they are doing and why they are doing it." As it stands both in our present time, as well as in times past, this is the exception, rather than the rule. All indications are that, when a person comes into the physical world as an infant, their mental faculties are, for the most part, dormant. Accordingly, their mind (both conscious and subconscious mind) is literally wide open to absorb and accept any and every thought or idea present in the mental atmosphere. This was first mentioned in the discussion on Mental Faculties. There is nothing inherently wrong with the scenario described hereabove; it is a quite natural occurrence. By itself, it serves to explain how infants begin to learn from the environment around them. It may only become a problem, if at some point in the future, the individual ever becomes aware that their Beliefs ultimately dictate their Behavior and the Results they obtain in any area of their life, and then realizes that the behavior and results they are currently realizing are not what they want. Fortunately for the person who awakens to this awareness, there exists a solution to the problem - namely, the person who desires to change their Beliefs (thereby changing their Behavior and their Results) must consciously and deliberately apply the power of suggestion (either via auto-suggestion or heterosuggestion) to effect the necessary change. The business activity known as Advertising may be considered perhaps one of the most obvious examples of the working of the power of suggestion - if not the most obvious. 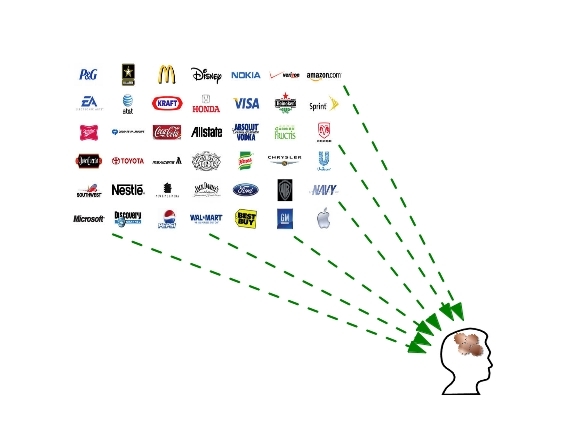 When all is said and done, advertising may be considered the process of heterosuggestion, intended to induce a particular consideration or action desired by the advertiser; specifically, the inducement of the individual to purchase some product or service. Once again, there is nothing inherently wrong with this - the only thing that may be an issue is whether people are actually thinking for themselves, or whether they are simply letting some long-established suggestion influence their behavior, if and when they either react or respond to advertising. A similar argument can be put towards Religion, irrespective of the particular form. Briefly, the tenets and other propositions supposedly at the core of the doctrine are suggested (i.e., repeatedly presented) to the congregation, and - with few exceptions - those propositions are generally accepted and become Beliefs. And interestingly enough, observations indicate that - again, with very few exceptions - questioning or objection to those tenets and propositions was (and in some places, still are) more often than not discouraged; in some instances throughout history, questioning or objection was met with by criticism, ostracization, and even threats of abuse or violence (and, sad-to-say, in some instances, threats were elevated to actual acts of abuse or violence). The subject of Politics is yet another example. Perhaps the most obvious example in recent times is the campaign which ultimately resulted in Barack Obama's election as the first African-American President of the United States of America in 2008 - something which, once upon a time, would have been laughed at and dismissed as an outright impossibility - but it is possible to trace other similar examples in earlier times, such as Mahatma Gandhi's unification of (virtually) the entire native population of India, which eventually led to that country's independence from colonial rule under Great Britain, as well as Adolf Hitler's rise to power in Germany in the years preceding World War II - when all is said and done, all of the examples mentioned can be traced out as demonstrating what can be accomplished via the exercise of the power of suggestion. 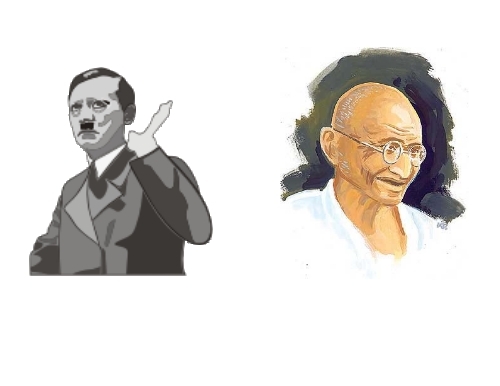 The brief reference to Mahatma Gandhi and Adolf Hitler also confirms at least two very significant facts; either of which or both have been previously mentioned elsewhere. One is that the power of suggestion - and, by extension, Thought Power as a whole - does not, in itself, question or debate the quality of the end-result towards which it is directed, but, if directed in a particular manner, can equally lead to the realization of results which may be considered "desirable", just as well as those which may be considered "undesirable". The other is that - speaking frankly, and as stated previously - the masses of mankind are ignorant of the possibilities and potentialities associated with thought power, the power of suggestion, Man's mental faculties, and similar subjects. Once more, there is nothing inherently wrong with this; so far as our knowledge to date on the overall subject goes, it is unavoidable, insofar as concerning Man's entrance into the physical world. The only significant issue is the choice which Man exercises - whether individually, or collectively - to either remain in ignorance, or to "switch-over" to understanding. Here one may, if they so choose, take heed of the age-old maxim: "Ignorantia Legis nemini excusat" (Ignorance of the Law does not excuse you from its operation). Referring this maxim to the present subject, it has been established that the power of suggestion is not some allegorical or metaphorical fancy having little or no practical significance, but a very real thing, and one which will bring about particular effects - "good", "bad" or "neutral" - depending on whether or not the individual seeks to make conscious and deliberate use of it. And, as previously stated, one of the purposes of all sound teaching, is to lead Man out of ignorance over to the polar opposite position - that of understanding.